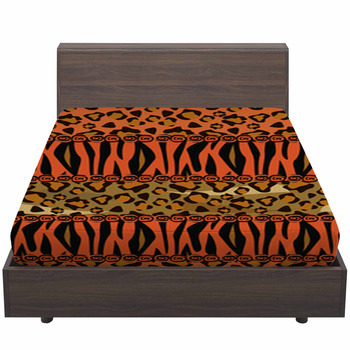 The tiger print is one of the most classic designs for bedding, but there's no reason to limit yourself to the standard orange and brown you see on the nature shows. 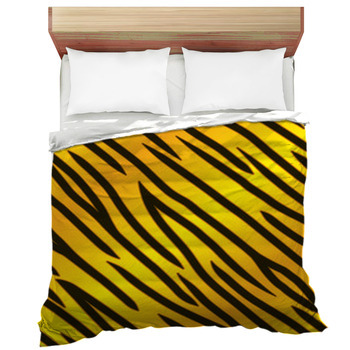 We can make any color of tiger print design you want, so you can easily match it to the theme of your bedroom. 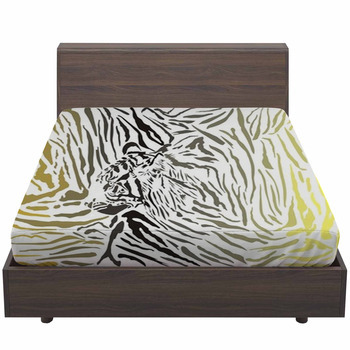 Cover your bed with some colorful tiger stripes and add something really great to the design. 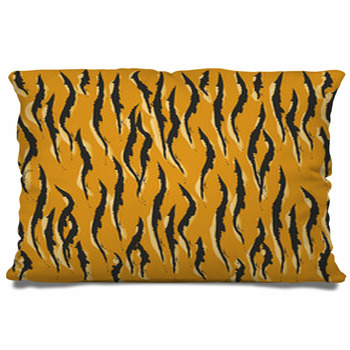 The classic orange and brown tiger prints may be good for the traditional animal lover, but there's no reason to stop there. 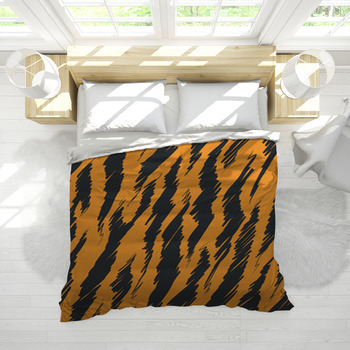 Sometimes orange just doesn't work with the colors that adorn the rest of the bedroom, so why not get creative and match the tiger bedding to the decor. 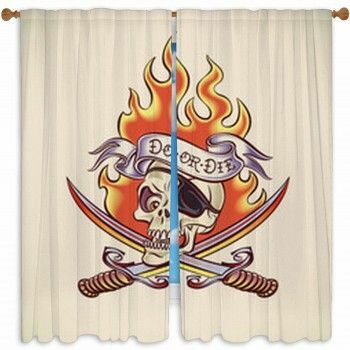 Blue, pink, and purple prints can add a creative flash to the bedroom, while a red or deep brown will give the room a nice, warm touch. 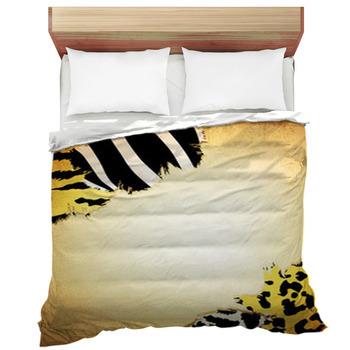 Tiger prints are a simple way to break up solid colors and provide a unique look for the bedding. 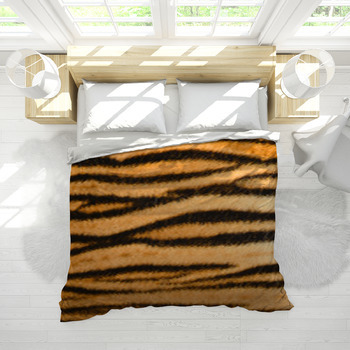 You can order bedding that is covered with large, thick stripes that stand out against the solid background color, or you can choose the stripes that are smaller and more densely packed to create a more textured look. 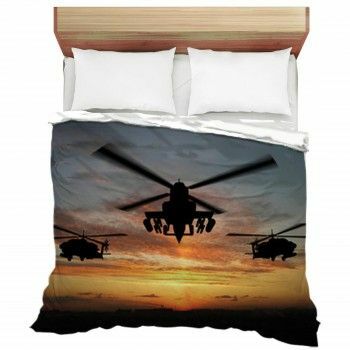 You may even want to mix and match the stripes, so you have one style on the duvets and other on the comforter. Its all up to you. 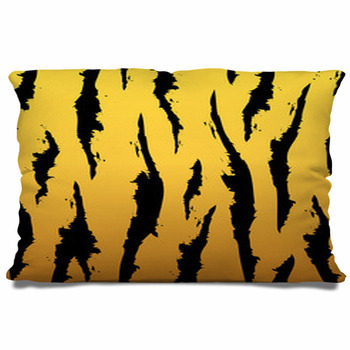 You're never going to see a blue or purple tiger in real life, but in your own bedroom you can add as much color as you want. 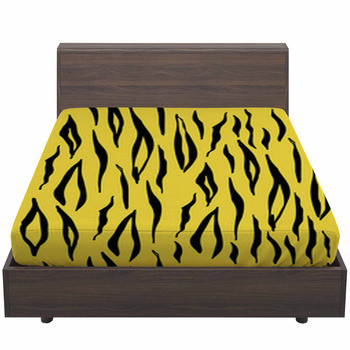 A tiger print pattern is a simple and stylish way to change the look and feel of your bedroom, and we can customize the colors to work with your designs.